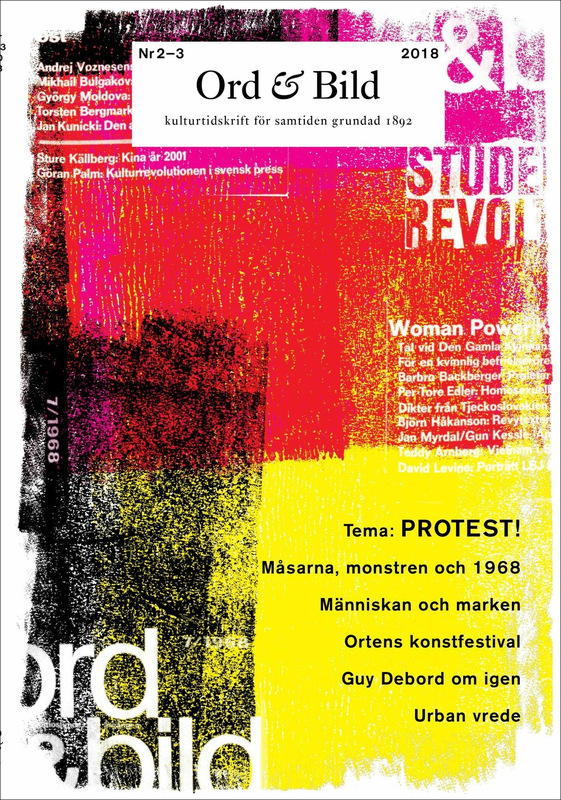 ‘Ord&Bild’ debates legacies of ’68; ‘Vagant’ covers Latin American revolution, Nordic union and the colonization of space; ‘Letras Libres’ grapples with online narcissists and digital propagandists; ‘New Humanist’ examines blasphemy laws, domestic violence and ancient DNA; ‘Esprit’ remembers the commitments of Chris Marker. 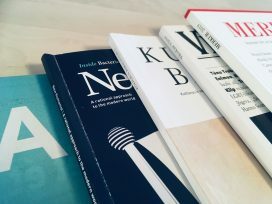 Media: ‘What is not reported in the media fades and is remembered, if at all, as anecdotes or faits divers’, writes Stefan Jonsson. Media are crucial to the transformation of a protest movement into what Pierre Nora refers to as ‘l’événement monster’ – an event ‘so charged with emotional power that is capable of mobilising huge collectives’. Jonsson speculates about the links between ‘monster events’, revolutions and societal change, whether in the shape of reform or reaction. Environment: ‘Protests need not be noisy. Many are patient and intense strategic efforts to protect the land and give local arguments a fair hearing.’ Kristina Sehlin writes on the struggles of the aborigines in Sweden’s Sápmi territory and in Australia’s Flinders Ranges, against uranium mining and river damming respectively, which have been met with forms of intimidation falling just short of physical assault. The city: Sally Gimson fears the loss of space for protest as British city centres are sold off by cash-poor councils for whom ‘public space has become a luxury’. And Mustafa Dikeç argues that rebellions in cities around the world are self-destructive but essential expressions of protest against economic and racial inequality. 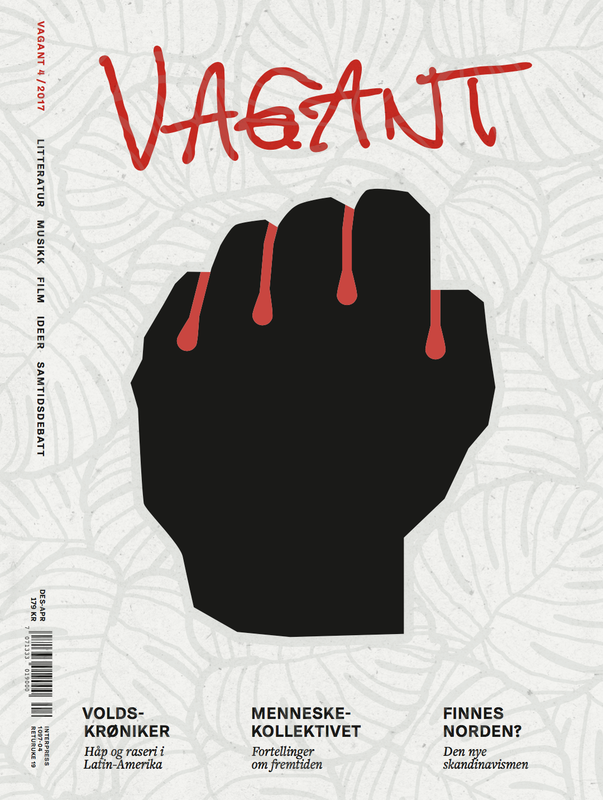 In Vagant, the Belgian literary scholar Bruno Bosteels talk to Hans Jacob Ohldieck about the social changes that guerrilla warfare, military coups and dictatorships have brought upon the populations of Latin America. The anger and hope of the Latin-American revolutionary left of the 1960s has been replaced by melancholy and shame, says Bosteels. Contemporary Latin-American writers ‘seem comfortable in their haughty disdain of the rebels of yesteryear, who believed in the possibility of radical change’. The interview is the centrepiece of the issue’s 75-page dossier on violence in Latin-American literature. Scandinavianism: Danish scholar Thomas Bredsdorff discusses attempts to reinvigorate the project of Nordic union. Tracing the idea from the 1800s, he sees in the latest attempt some potential for success, not least because of the abundance of shared cultural phenomena. 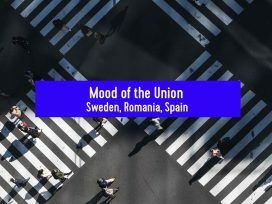 However, before any realistic Nordic project forms, ‘a political disruption as massive as the withdrawal of the US from the world stage or the collapse of the European Union would have to take place’. Sci-Fi: Philosopher Anders Dunker meets the sci-fi writer Kim Stanley Robinson to discuss Californian drought, science’s discordant relationship with capitalism and radical eco-policies such as rewilding. Robinson disapproves of grand technological fixes for climate change: ‘ecological projects have to be pragmatically inclined towards improvement rather than perfection’. Perhaps surprisingly for the writer of the Mars trilogy (1992–1996), he is sceptical about the colonization of space: the microbiome in the human body would most likely react strongly against space travel over long distances. ‘Digital lynching’ – i.e. 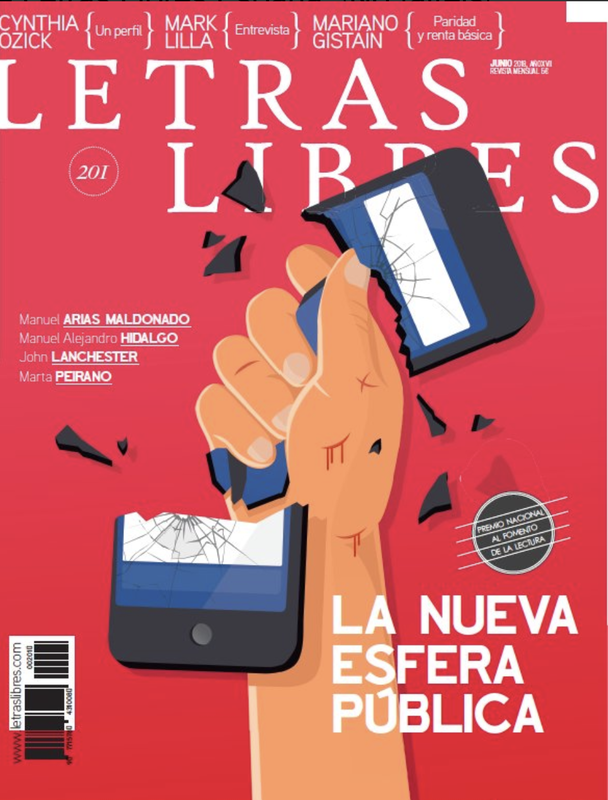 online interaction characterized by ‘explicit aggression and a disconnection from any kind of deliberative purpose’ – threatens to become ‘the new norm of public debate’, writes political scientist Manuel Arias Maldonado in Letras Libres. To understand this, he proposes a ‘psychopolitics of the digital beehive’. One feature of the digital public sphere is that a ‘super-populated marketplace of opinion … grants the greatest prominence to those who can capture the attention of others; hyperbole becomes the norm; the most excited drive out the moderates’. Equally, this ‘super-population’ produces a ‘paradoxical shrinking of the public sphere’, in which we find ourselves in direct confrontation with ‘the hell that is others’. This ‘sense of being stifled stimulates a reciprocal bellicosity’. The absence of the filters, hierarchies and mediation imposed by traditional media reinforces the emotional content of messages, while anonymity erodes mutual respect. An ‘emotional public space’ is created. ‘Rather than seek the truth or form an opinion, the motivation of internet users tends to be to fulfil a narcissistic need to express themselves’. Social networks also ‘provide ideal spaces for the expression of conflicts between different moral tribes’, whose members reinforce their own beliefs and confront rivals without risk. 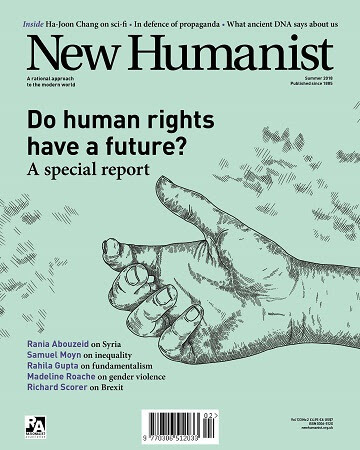 ‘A blasphemy law has no place in a modern democracy – and it was abolished in the UK only in 2008 – but in an “Islamic democracy” like Pakistan, it is a valuable blanket for smothering dissent,’ writes Rahila Gupta in New Humanist. There, ‘an allegation of blasphemy without supporting evidence is enough to have someone thrown in jail’. Gupta profiles lawyer Saif ul-Malook, who defends blasphemy defendants. For now, says Gupta, ‘all we can hope for is the good implementation of a bad law’. Human rights: For all their importance, human rights have become ineffectual in the face of market fundamentalism, argues historian Samuel Moyn, in an article first published in Estonian journal Vikerkaar. In order to confront material inequality, human rights must overcome their individualist and anti-statist origins. Best known as a film-maker, Chris Marker was also a journalist, a photographer, an editor, a multi-media artist and a writer. After WWII, he was a regular contributor to Esprit, where he wrote political commentaries, poems, short stories and film reviews. 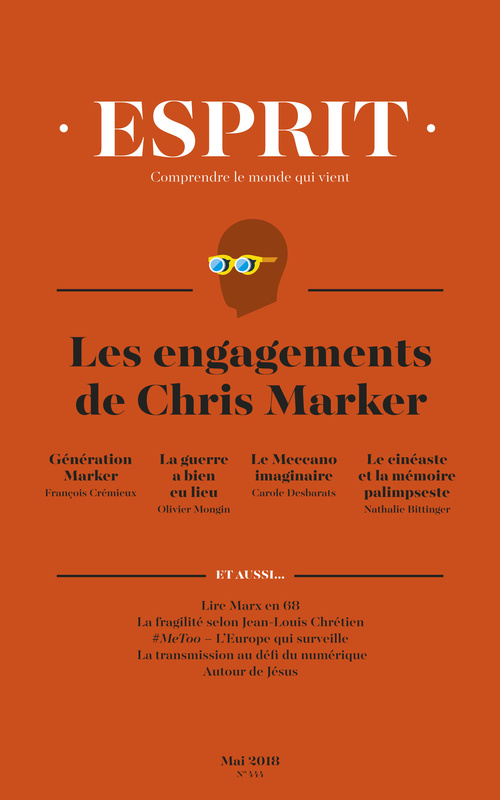 Starting with these texts, the May issue of Esprit explores how the variety of Markers’ intellectual and artistic production was brought together by the singular nature of his commitments. For him, political involvement, aesthetic judgement and moral obligation worked together. Artistic biography: Chris Marker was eighteen when the war broke out and, as for his whole generation, the war experience was foundational, writes Olivier Mongin. Throughout his life and career as an artist, Marker returned to its meaning – not as the expression of fatality, but as recognition of the fleeting nature of happiness and the need to fight for freedom, independence and humanity. From his post-war critiques of colonialism and celebrations of national liberation movements to the three films he shot in the former Yugoslavia in the Nineties (recalled by François Crémieux), war remained a permanent theme in Marker’s political consciousness. Technique and oeuvre: Chris Marker was always an experimental artist, who tried out different forms and techniques in a playful and almost childlike way, writes Carole Desbarats. He was also committed to collective work, working as assistant director for other directors such as Alain Resnais, or documenting the making of Ran by his ‘master’ Akira Kurosawa. His montages mixed documentary and fiction in essays that often dwelled on the intricacies of time and memory, as Nathalie Bittinger discusses. The issue also features Marker’s photographs of passengers on the metro and people on the street, courtesy of the Peter Blum Gallery in New York, collected by Jean-Michel Dars and Anne Papillault.